Celebrate North Carolina’s Arbor Day! The Department of Forestry and Environmental Resources at North Carolina State University invites the public to their Arbor Day Celebration on March 17, 2018. The 2019 Arbor Day Celebration will not held due to scheduling conflicts. Stay tuned for the 2020 event! 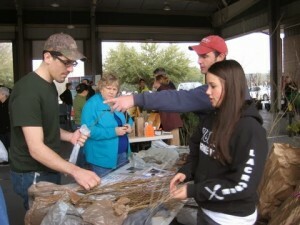 Events will include a tree seedling give-away, exhibits, demonstrations, and hands-on activities just for youth. Sponsors include the Triangle Chapter of the Society of American Foresters, NC Forest Service, and Osher Lifelong Learning Institute at NC State University. 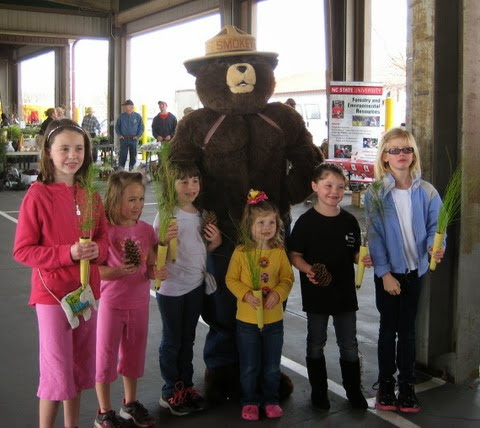 Visit the 2013 NC Arbor Day Celebration Photo Gallery! A day is set aside each year in North Carolina, as in many other states, to show just how much trees are appreciated. In 1967 the North Carolina legislature ratified a bill stating in part “Whereas, it is desirable that the planting of seedlings and flowering shrubs be encouraged to promote the beautification and conservation of the vast and varied resources of North Carolina, and whereas the designation of a particular day each year as Arbor Day would encourage and draw attention to a concerted effort by North Carolinians to beautify and conserve the state’s resources by planting young trees and shrubs.” Arbor Day in North Carolina has been designated as the first Friday following March 15. This year North Carolina’s Arbor Day falls on March 22, 2019.